We are engaged in offering our clients a high quality range of Shrink Wrapping Machine that are suitable for corrugated boxes packing, pallets packing, textile yarns packing, etc. 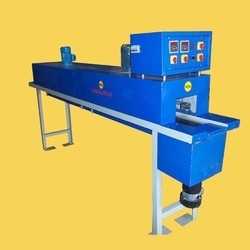 Our offered machines is manufactured as per the set industry norms to ensure its flawless at the users' end. This machine is available in various specifications and can be effectively customized as per the specific needs of the clients within the promised time - frame.